The packaging of this eyeliner is extremely cute. It comes in a sleek black tube and on the lid it has a little heart. 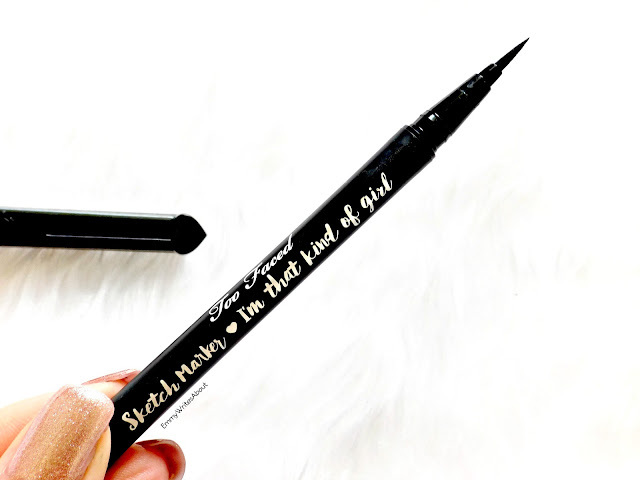 On the liner it says "Sketch Marker, I'm That Kind of Girl" on it. Too Faced always go that extra mile and add super cute touches to their packaging to make it stand out. Winged eye liner is something I am terrible at! No joke, I have tried so many different liners from liquid eyeliner to gel and nothing makes me get a good wing. I definitely need help in that department but the Too Faced liner is a miracle worker. The tip isn't too long or too short, it is perfect. It has a slight bend to it but only slight, which makes it perfect for liner on your lid or for a winged liner look. The best part of this liner is the pigment, it is beyond black and so intense. I have also tried the Kat Von D Lock It Liner which alot of people say is intensely black but this one knocks it out of the park. The colour pigment is intense from one light stroke, you don't need to build it up. It stays intense all day and doesn't fade. I do always apply an eye base like the Essence Intensifying Eyeshadow Base to ensure all my eye makeup stays put all day long. Overall the longevity and pigment is the perfect duo. 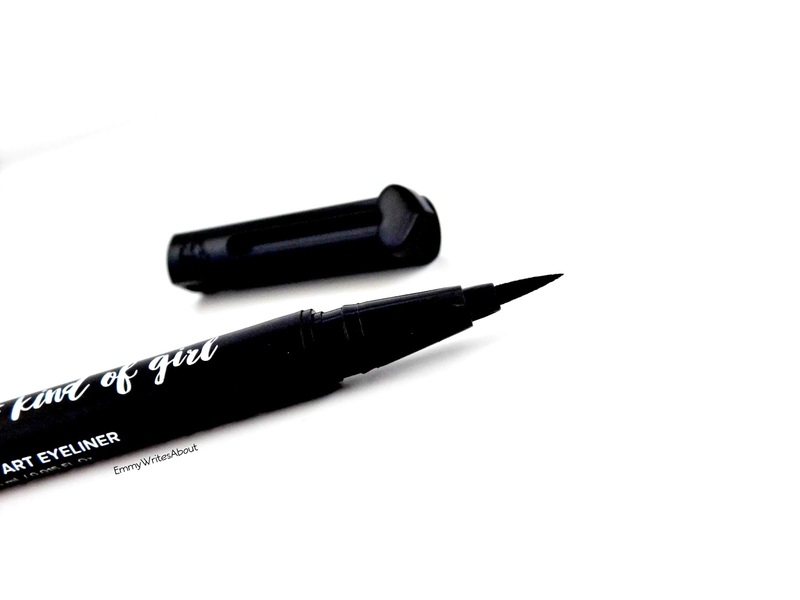 Whether you are a beginner or a pro you will love this liquid eyeliner. It is waterproof which is something I always look for especially in the Winter months as my eyes tend to water alot. It comes in 12 shades!! From Yellow, Blue, White, Black, Pink and more. You can buy the Too Faced Sketch Marker Eyeliner for £17 from Debenhams (in the UK) or Sephora or the Too Faced Website directly. I won't try another liquid eyeliner again!